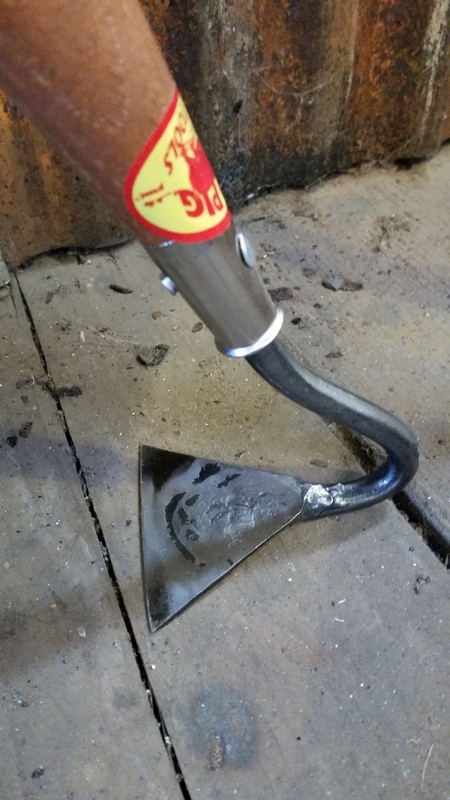 Great little hoe invented in 1898. I came across this light, nimble draw hoe with a pyramid-shaped blade in the 1898 Peter Henderson & Co. "Catalog of Tools and Implements, Fertilizers, Insecticides and Essentials." 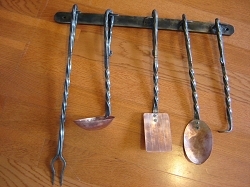 It was described as a "Three Cornered" onion hoe and had a blade only three inches across the bottom. That's narrow. 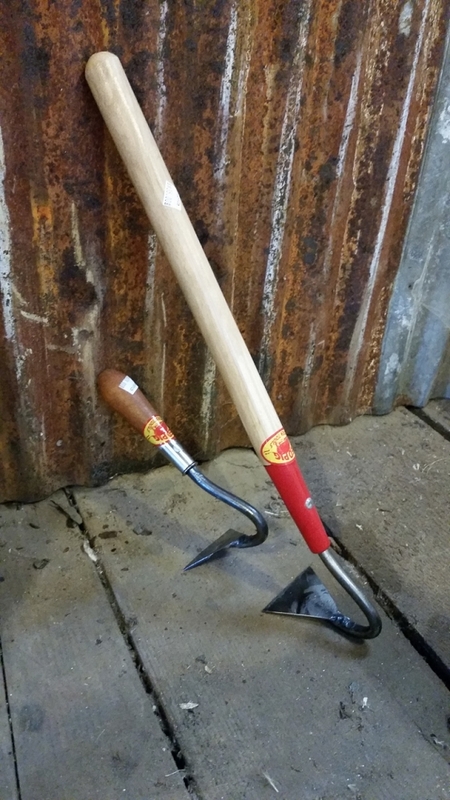 Most hand hoes are at least 4" wide. While doing research for a book on garden tools, I repeatedly came across the tool in various books and catalogs dating from 1898-1930, along with commendations on its performance. Curiosity got the best of me, so I made one to try. I gave it a gradual taper to a thin, sharp edge. It turned out to be nifty for slicing weeds in the tight confines between closely spaced vegetables and amidst some tightly planted flowers. 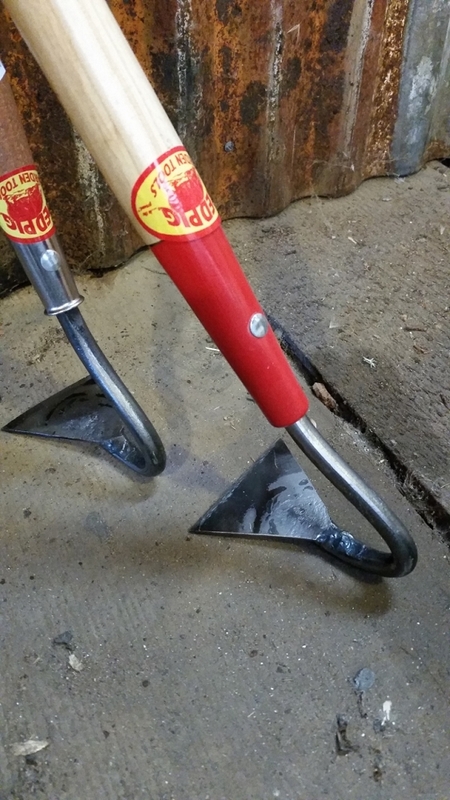 We've decided to add the 3" Pyramid Hoe to our line, in two handle lengths. One has our signature 5 1/2" hickory handles and measures about 10" overall. The other has an 18" ash handle, making it approximately 21 1/2" long. If you'd like an even narrower blade, just let us know your preferred width when you place your order. There's no extra charge for cutting it down.